Peter Gidal's films have been an influence on several generations of artists. 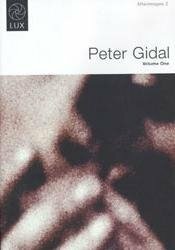 An important theorist and writer as well as a filmmaker since the late 1960s, Gidal was a pioneer of 'structural-materialist' film and his work has been shown around the world, including retrospectives at the ICA in London and the Centre Pompidou, Paris. Frantic frame edge defining nothingness.